Earl R. Harris was born in Celeste, Texas November 22, 1918. He lived in Texas, New Mexico and Colorado, graduated from Albuquerque HS in 1936. 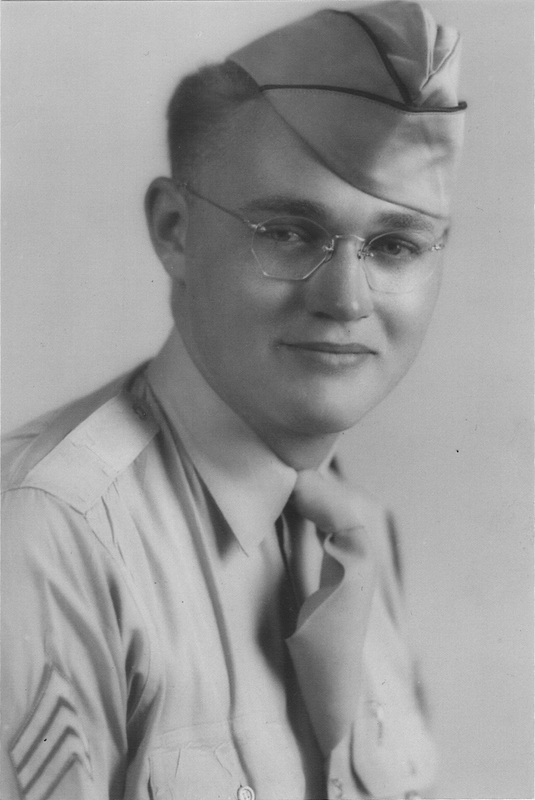 Earl joined the New Mexico National Guard on April 3, 1940 and was assigned to the Army 200th Coast Artillery, Battery H. Boot Camp at Fort Bliss, El Paso, Texas and shipped to the Philippines September, 1941. He served at Clark Field that was bombed December 8, 1941, just hours after Pearl Harbor. The 200th was surrendered to the Japanese on April 9, 1942. Earl was forced to march to prison camp in the “Bataan Death March”. Prison camps were O’Donnell, Cabanatuan, and Osaka. He was liberated after 3 ½ years, honorably discharged and awarded the Bronze Star, Purple Heart, and other medals. On February 8, 1948, Earl married Tommie Colleen Leach from Clovis, New Mexico. They had 4 children. During his life, Earl built houses, ran a motel, started a poultry farm, and farming company. He helped incorporate a township, was the first Fire Chief, Farm Bureau President and Boy Scout Master. Earl never felt he was owed anything but that he must work hard, always be honest and give back to his country.